When it comes to playing Super Smash Bros. Ultimate on Nintendo Switch with a GameCube controller, there are certain options available, like playing with PDP’s specially designed GameCube pads, or finding a way around an adapter. However, a company called Panda Global is looking to simplify the process with an Ultimate GameCube Adapter, which just went live on KickStarter. The goal of this new adapter is to enable players that are traveling on-the-go to use their GameCube controllers, because, well, a Joy-Con just won’t cut it, now will it? With the adapter, players will be able to keep the adapter powered via the Switch, or using a USB-C charger that comes with the final product. Up to four GameCube controllers can be connected at once with the adapter, making it perfect for those sessions when you just don’t have access to a television. And you can connect an official GameCube adapter or another one of this type to go up to eight players, if all of you are crazy enough to crowd around a small screen. Panda Global is looking to sell the adapter for $45, and it will begin releasing it in July 2019. Normally, we’d add “if funding is met,” but thus far, the KickStarter is a tremendous success, already surpassing the $55,000 goal set by the company, with 28 days to spare. Now, Nintendo has frowned on unlicensed peripherals in the past, believing they may actually cause damage to the Switch. 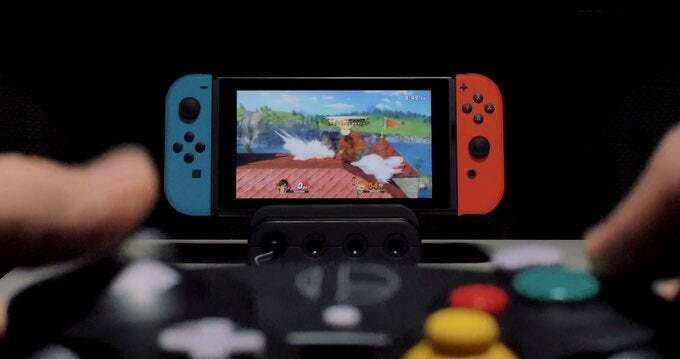 But Panda Global seems pretty assured that everything will work just fine, and the adapter will be a big hit with those that don’t want to lug around a large monitor to get their Smash fights on. We’ll see how the campaign fares over the next four weeks, but dare we say that this product will be a...Smash hit? Okay, that’s enough puns. You can check out the KickStarter here if you’re interested in investing in one or more adapters! Do you think you’d use the Ultimate adapter? Let me know on Twitter at @TheDCD!